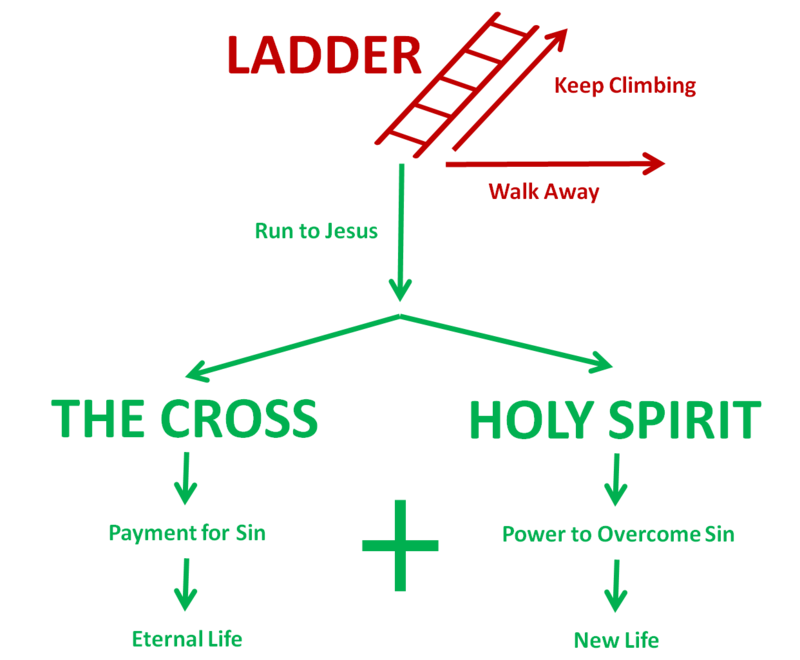 Many people view practising Christianity a little like trying to climb a ladder to get to God. They believe that it offers them a way to earn God’s forgiveness and earn their way to heaven. Some try and climb by living a good life. They figure that as long as they treat people well and genuinely try and do the right thing throughout their life, then God will forgive them and let them into heaven. Others try and climb by being committed to God. They’ve made a promise to obey Jesus and live for Him. They believe that as long as they stay close to God and always try to obey Him, then God will forgive them and let them into heaven. Many believe that they can climb the ladder by having the right heart. They know that they fail to obey God, but as long as they never deliberately sin, and are always repentant when they do, then they believe that God will forgive them and let them into heaven. Some climb their way through religious rituals. Some do it by making radical sacrifices. Some even climb by trying to accumulate a number of spiritual experiences. Regardless, the one thing that all these approaches have in common is that they are never able to get us to the top of the ladder. Trying to climb the ladder is a nightmare. It will either lead us to PRIDE or DESPAIR. It can lead to pride. The ladder can produce self-righteous, judgemental people who feel like they’ve got a right to look down on others because they’ve made their way up a few rungs. According to the Barna Group, there’s an alarming number of church attenders who are still trying to climb the ladder. They work hard, they live good lives, they pray, they read the bible, they give generously. But they aren’t humble. They don’t have peace. They’re not driven by joy. They don’t live the kind of lives that make you want to be a Christian. 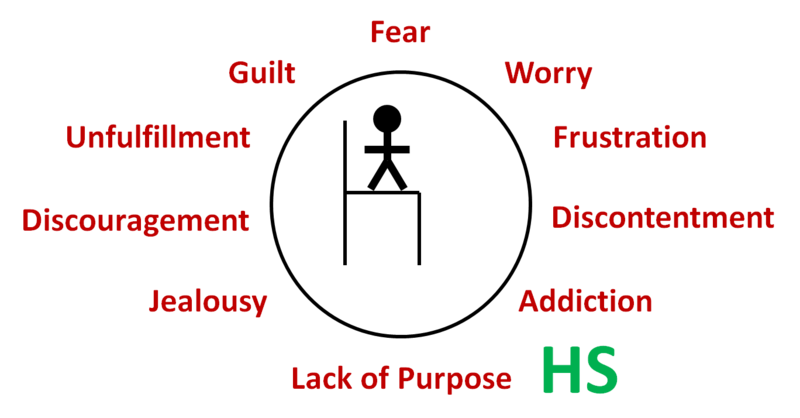 It can lead to despair. 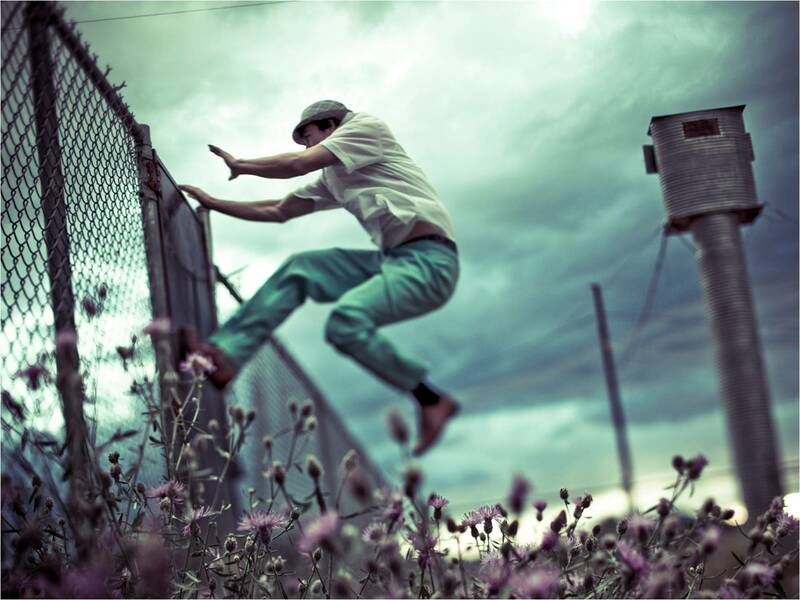 The ladder can make us feel like we can never do enough. 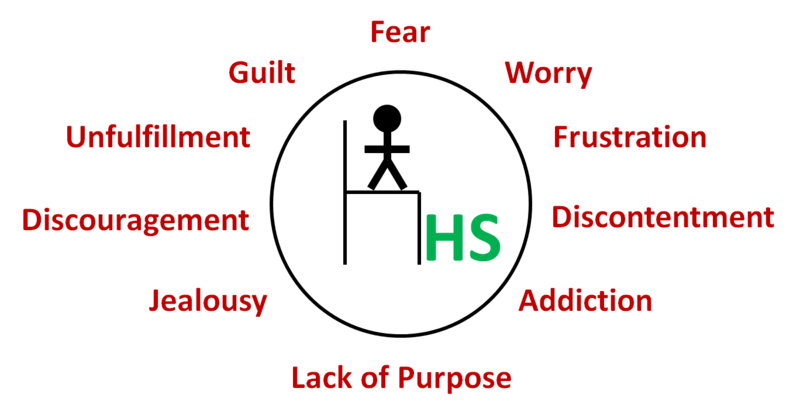 No matter how hard we try, no matter how committed, how consistent, how good our intentions, we always feel guilt and shame. 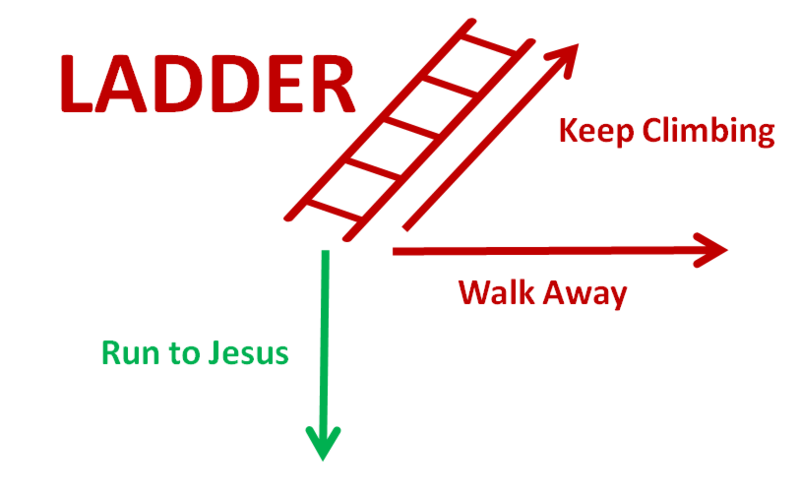 The reason that so many people walk away from God and the church is because they are tired of climbing a ladder that can’t be climbed. It’s often been said that God would never ask us to do something we’re not able to do. But actually, the complete opposite is true. All throughout the Bible we find God calling people to do things that aren’t humanly possible. The same is true with God’s commands. We naturally assume that because God has given us a command, that He expects us to be able to obey. But what if there is something else going on? What if God knew from the beginning that we wouldn’t be able to climb high enough? What if God gave us commands for an entirely different reason? The Apostle Paul explains why God gave us the law… “I would not have known what sin was had it not been for the law. For I would not have known what coveting really was if the law had not said, “You shall not covet.” But sin, seizing the opportunity afforded by the commandment, produced in me every kind of coveting. For apart from the law, sin was dead. Once I was alive apart from the law; but when the commandment came, sin sprang to life and I died. I found that the very commandment that was intended to bring life actually brought death” (Romans 7:7-11). God never expected us to be able to climb the ladder. The law was never given to make us holy. Rather the law was given so that we would realize that we are unholy. The law was given to condemn us, not to save us. 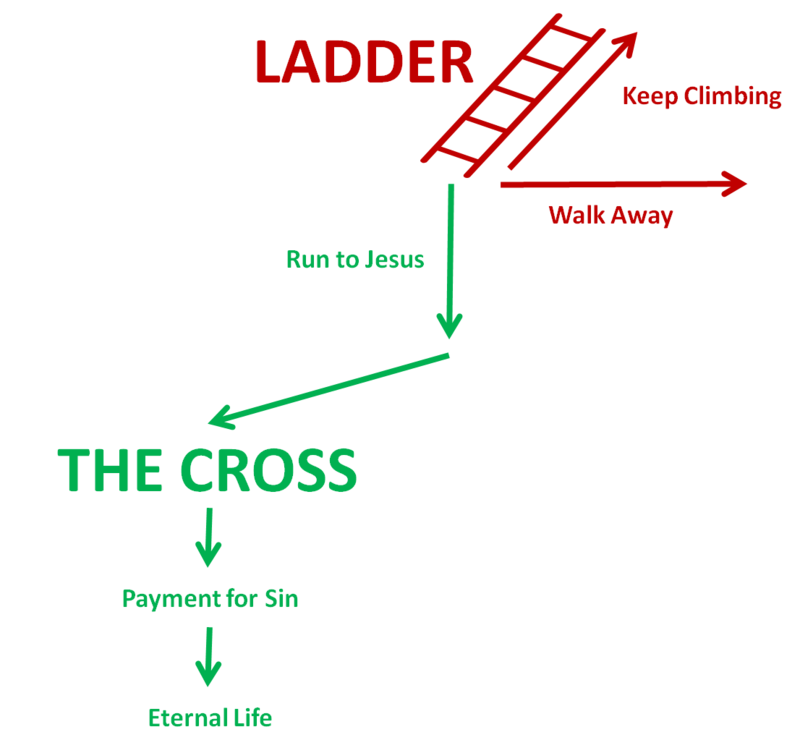 The more we try and climb the ladder, the more we slip and we fall, the more we realize that we are sinful, the more we realize that we need a saviour. So when we look at the ladder, there are really three responses. The first is to keep climbing. The second is to walk away from God altogether. But the third is to go running to Jesus. God has to punish our sin, but does not want to punish us. So how does God solve these problems? In order to solve the first problem, God had to figure out a way to punish our sin without punishing us. So 2,000 years ago, He sent His Son Jesus to die on a cross. A lot of people believe that Jesus’ death serves as an example of sacrifice for us to follow. Others see the cross and a great demonstration of God’s love for people. Although both these perspectives are true, the reason Jesus died on the cross was to cop the punishment for our sin. The Bible says that “God made him who had no sin to be sin for us, so that in him we might become the righteousness of God” (1 Corinthians 5:21). All our past sin, present sin, future sin, accidental sin, and deliberate sin was cast upon Jesus while He was on the cross. God poured out His wrath upon Jesus. Jesus was condemned so that we can become uncondemnable. At the same time, all of Jesus’ righteousness was cast upon us. So that every good thing that Jesus ever did is credited into our account. So although we are still sinful, God now treats us as if we live perfect, holy, and pure lives. For this reason, we can be 100% sure that we are forgiven. We can be 100% sure that we are going to heaven. Not because we are good, or committed or have good intentions, but because Jesus paid for all our sin in full. In order to solve the second problem, God had to figure out a way to transform us from the inside out. So when a person runs to Jesus to save them, they don’t just get all their sin paid for, they also receive the Holy Spirit. Bill Bright said: “The Christian life is not difficult – it is impossible… Only one person has ever lived the Christian life, and that was Jesus Christ. Today He desires to go on living His life through Christians whom He indwells”. In other words, the Spirit of Jesus, also known as the Holy Spirit, comes and lives in us and through us. His job is to give us the Resurrection Life (or a New Life). Here we find a person who has not placed their faith in Jesus. 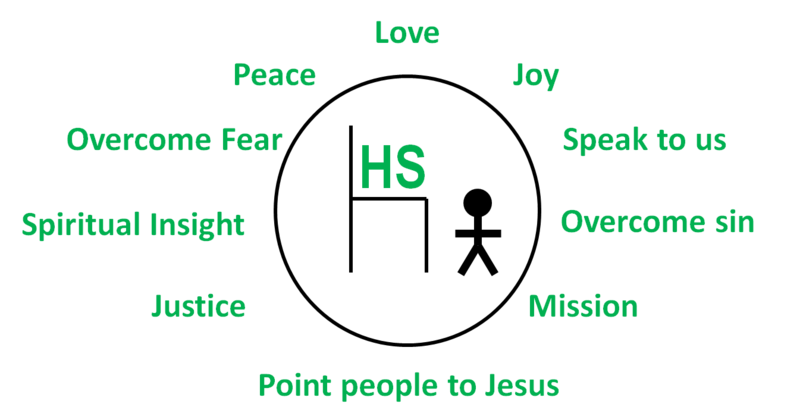 The Holy Spirit (H.S.) is not in their life, and the person sits on the throne (or driver’s seat) of their life. Here we find a person who has placed their faith in Jesus. Their life is no longer their own. They now belong to God. The Holy Spirit (H.S.) has come into their life and is on the throne (or driver’s seat). He is giving them the motivation and power to live like Jesus. They still stuggle with sin, but they are no longer dominated by it. Here we find a person who has placed their faith in Jesus. Their life is no longer their own. They now belong to God. But they are not experiencing all that God wants to do in their life. Although the Holy Spirit (H.S.) has come into their life, they have placed themselves back on the throne (or driver’s seat). God is definitely at work in their life, but their life is still dominated by sin.